I have to duplicate the font used on this sign. Rockler would call it a “state park” font but of course there is no such thing as far as fonts go. Any ideas what this font with rounded ends on the letters could be? The state may have guidance on the type of font to be used. I know CalTrans (California Department of Transportation) has guidance for signs that it produces/has produced. 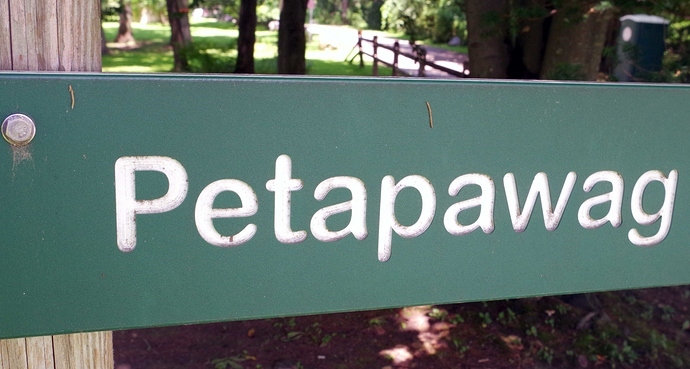 What font is used in these wooden trail signs? Looks like Ariel Round Bold to me. Yes I have used it in the past. For some reason it didn’t pop into my head this time.